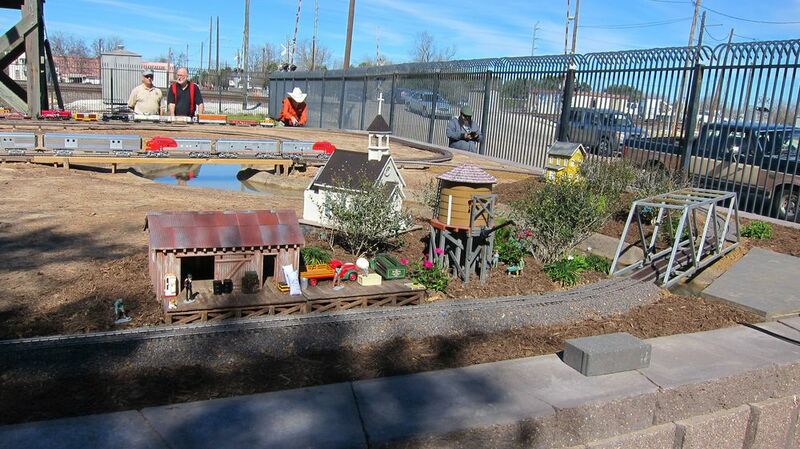 The Garden Railroad project has been a dream of the Rosenberg Railroad Museum for many years and the Museum is making that dream a reality. 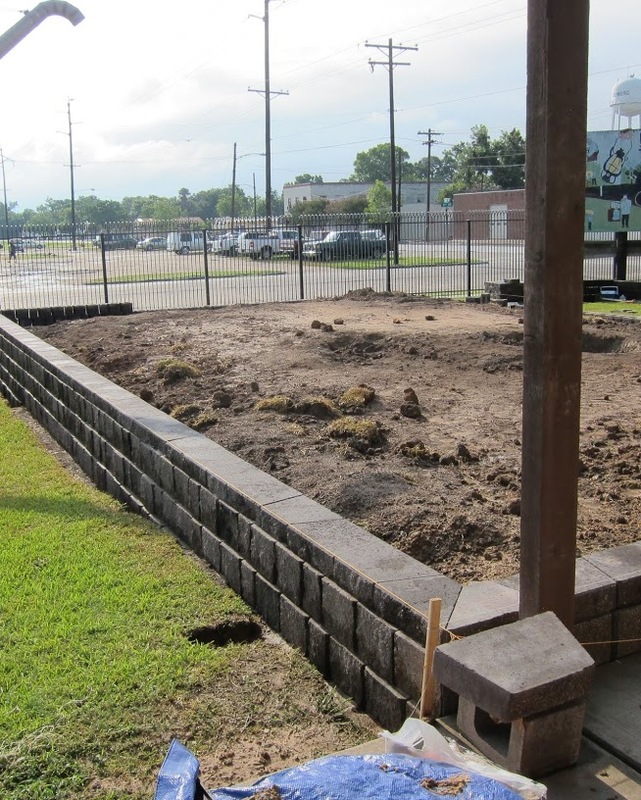 Through tireless efforts of the volunteers, staff and the Board of Directors, the Museum has raised over the $24,000 needed for Phase I of the project. 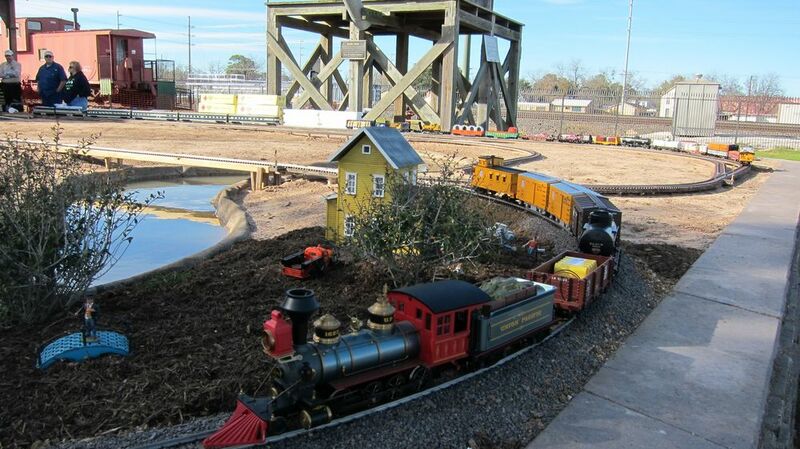 When it is complete, the Garden Railroad will be a depiction of Historic Rosenberg and the surrounding areas of Richmond and beyond, complete with a Brazos River water feature, loops, tunnels, bridges, trestles and miniature buildings. 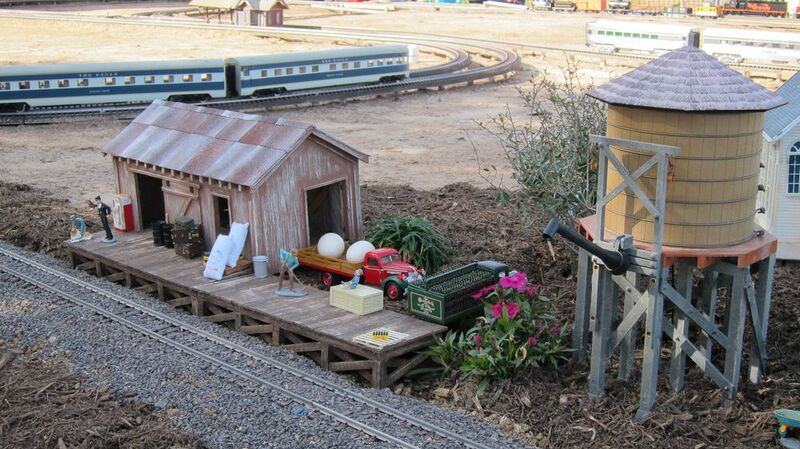 The Layout of the RRM Garden Railroad is pictured at right. Click on the map to open a larger view. 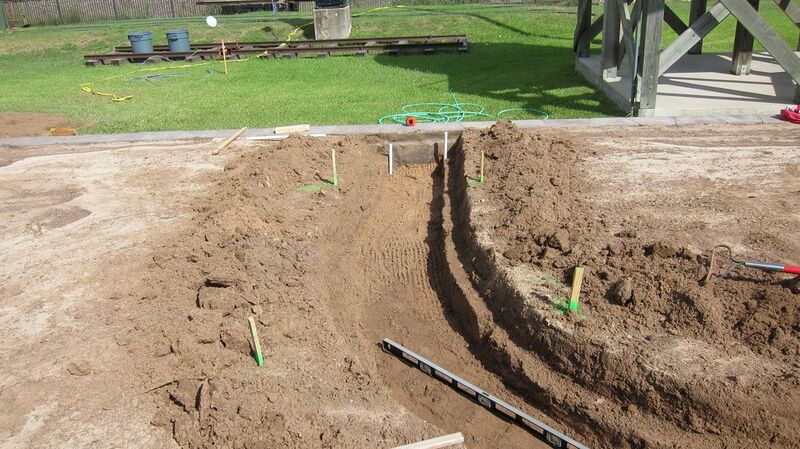 The Museum is currently fundraising for Phase II to complete the Garden Railroad. 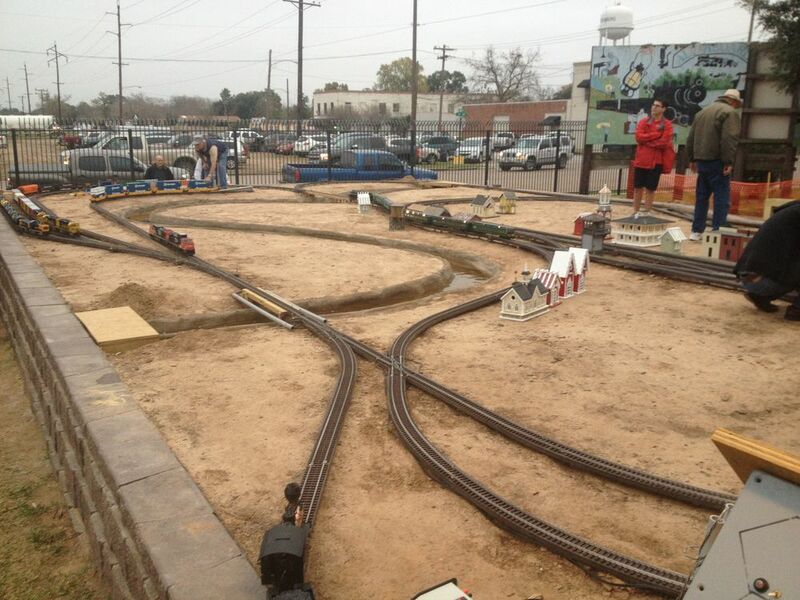 Businesses or individuals who contribute to this project can have their business memorialized on a miniature bill board, rail car, engine or building based on the level of their sponsorship. Here are some details about how you can participate. Greg Cauthen, president of the RMM Board and HAGG member, drives the Golden Spike. Joined by other HAGG members and RRM board members. Click on Map to open a larger view.